Getting a head start on Thanksgiving dinner, which always seems to involve cooking at least ten recipes, can bring a moment of sanity and some time to spend with your guests on the big day, and turkey gravy can be made days ahead. My wife roasted turkey wings with onion, carrots, celery and vegetable oil in a large roasting pan for an hour, then simmer that with water, thyme, and garlic for another three hours. Final step involves continuously whisking butter, turkey fat, flour and the turkey stock in a saucepan and adding salt, pepper and cayenne pepper as desired. That's the condensed version, and the full recipe is at this link. 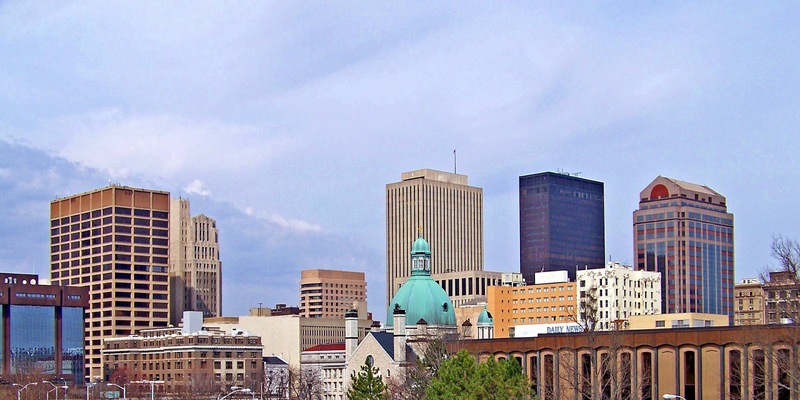 I've lived in and around the Dayton, Ohio region my whole life, but have travelled enough to know that other cities and states have some surprising quirks; laws, weather, traffic, animals and other things that make their everyday life more difficult, annoying or scary. 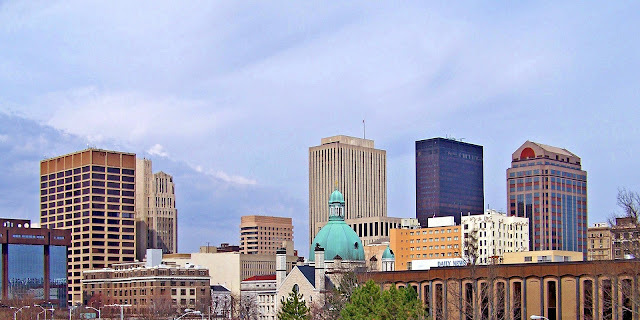 So to demonstrate some of those, I've started the "Dear Daytonian" blog which you can get to at the link below. Like this blog, it has a signup feature that will send you that day's blog(s) in an email. My goal is to post once a week, and I'm shooting for Wednesday's, but this retired guy's schedule can be a bit hectic, so no promises. I hope those of us who enjoy our easy style of living will get to know what awaits us out there and will be prepared if we venture out. I've used the Google public DNS (Domain Name System) for years for its faster resolution and avoidance of annoying ads when I mistype a website name, but recently I've changed my MacBook Air to use the CloudFlare DNS service (IP addresses 1.1.1.1 and 1.0.0.1), which they say is three times faster. More details at the link below. But privacy peace-of-mind was the primary reason and their website states "We will never sell your data or use it to target ads. Period. We will never log your IP address (the way other companies identify you). And we’re not just saying that. We’ve retained KPMG to audit our systems annually to ensure that we're doing what we say." Sounds serious enough. There are also apps for Android and iOS at https://1.1.1.1/. Similar to revealing extra options using Shift-Right-Click in Windows, macOS has a ton of hidden features when holding down the Option key, which the article at the following link does a good job of detailing. The most useful to me is using Option with the Menu Bar icons, for example, showing expanded commands and information under the Wifi icon, as seen below. My wife bought a HiDow XPDS 18, about the size of your hand and weighing only a few ounces, which uses Transcutaneous Electrical Nerve Stimulation (TENS) and Electrical Muscle Stimulation (EMS) technology to help relieve sore, stiff or aching muscles. I like it on my lower back, hamstrings and feet, and it really helps. She scored ours at a local tennis tournament for half the list price you'll find on this website, and I've seen used models on eBay for as little as $100. They make a number of models with different features at various price points, so shop and compare to get what's best for you. Nestled in downtown Springboro, Heather's Cafe was a recent destination for a late lunch, my wife having a "Nay Nay", roasted turkey, cream cheese, bacon and avocado on a pretzel roll, while I opted for a meat-lovers "Italian Stallion", ham, salami, pepperoni and mozzarella on a sub bun. 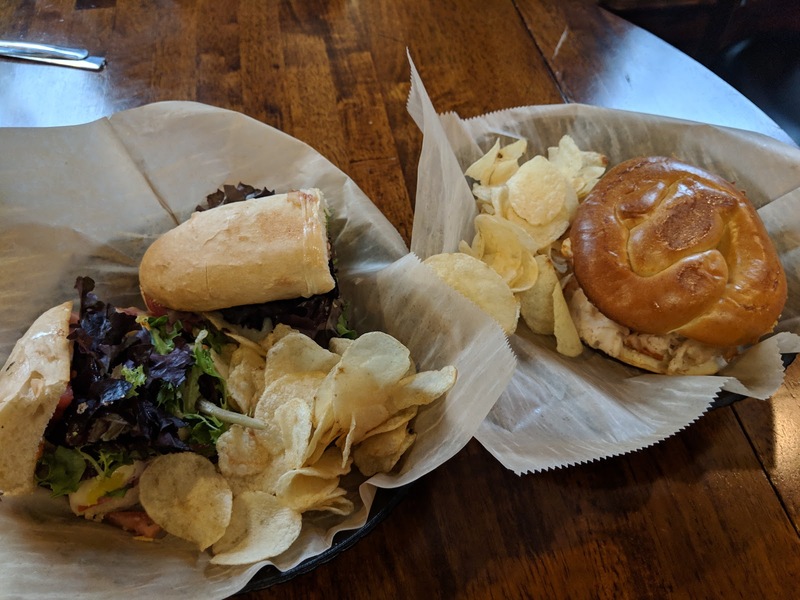 Heather's is also open for breakfast and dinner, to grab some coffee or enjoy a beer outside on their large patio. One of the region's hidden gems. With the addition of an Amazon Fire TV Cube, our house now has a total of 5 voice assistants, not counting our smartphones. The Cube has been installed in the basement and can voice control the TV and cable box, just like a remote control. "Alexa, turn on the TV" and "Alexa, tune to CBS" are examples of what it can do for the TV. Then say "Alexa, play Doctor Strange" and it changes the TV's input source to the Fire TV Cube, figures out, all by itself, that this movie is available from multiple apps but currently free on our Netflix subscription, switches to Netflix and begins playing the movie. 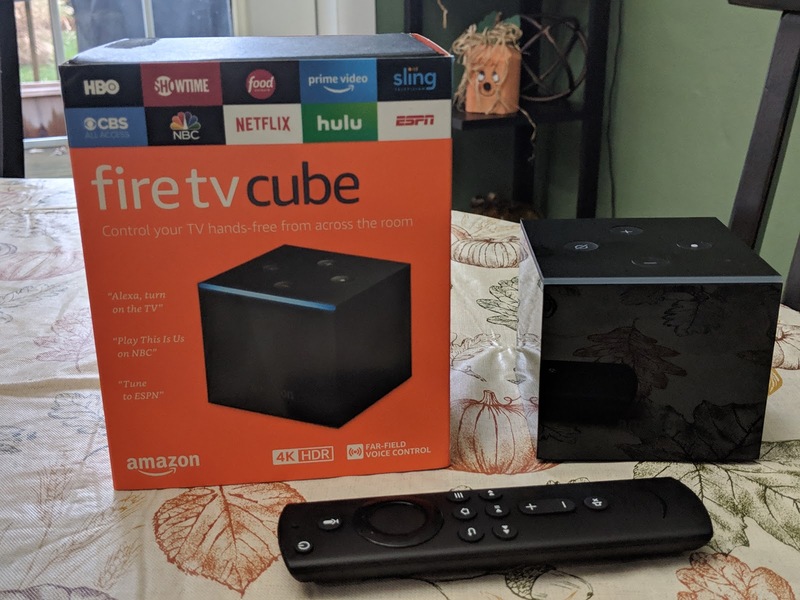 I was stunned by how easy the setup was, with the Fire TV Cube having no problem determining the type of TV and cable box we have. Best of all, Amazon has this discounted at the moment for $59.99, half off the normal price. 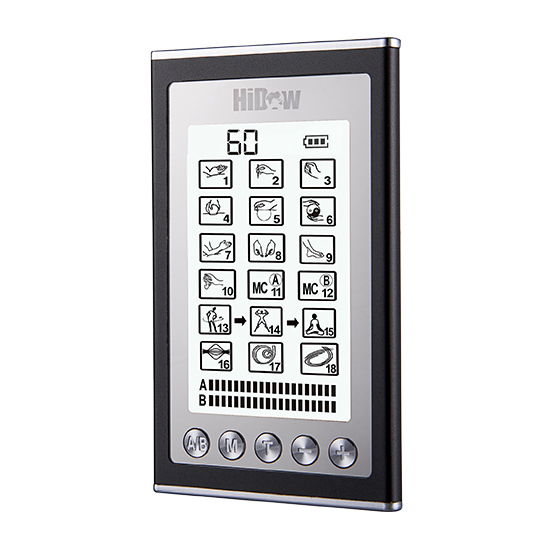 If your goal in life is fewer remote controls, this may be your nirvana. While our smartphones take incredible pictures, they're also quite large, which usually makes sharing via email a one-picture-at-a-time, tedious chore. 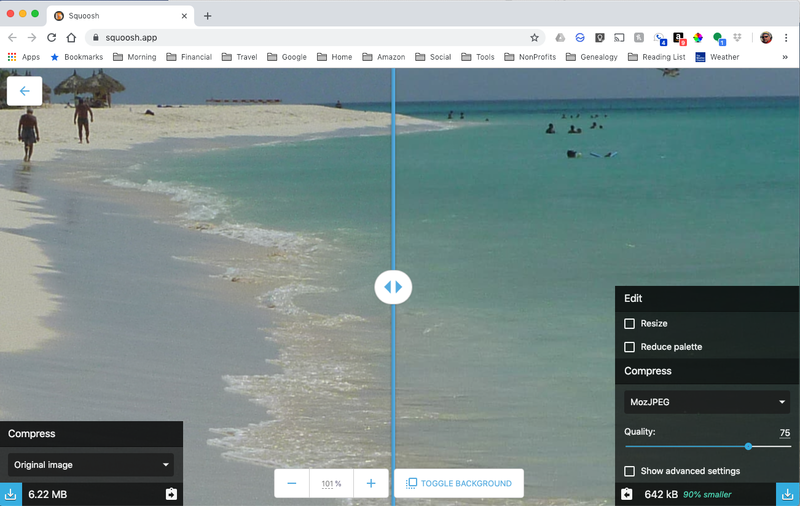 To assist with that problem, the folks that Google have introduced Squoosh, a free (I love free) web app that will reduce an image's size, in the case below from 6.22 MB to 642 KB achieving a 90% reduction, with minimal loss in quality. This is also a boon to web site developers, improving page load speed while maintaining picture quality. All this work is done in your web browser and the pictures never leave your computer. Just drag or upload a picture, the process automatically begins and when the spinner in the lower right-hand corner turns to a download icon, it's ready to save. Fresh squeezed orange juice is the best, but finding it in Ohio is a Diogenes-like undertaking. 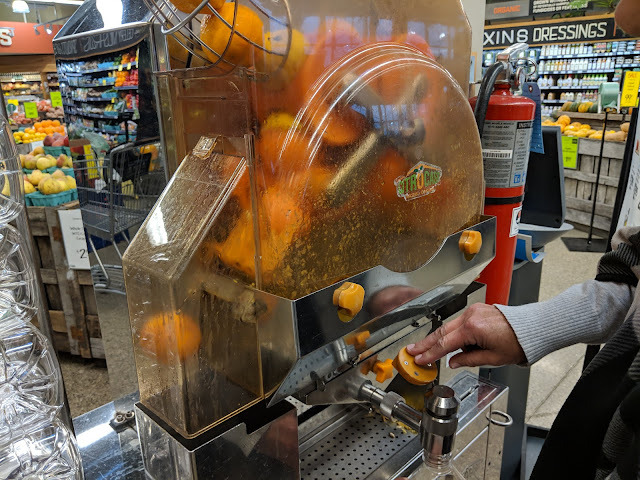 Much to my surprise and delight, the Whole Foods store on SR-725 in Centerville has this awesome juicer machine, cranking out a quart of sweet orange heaven in about 15 seconds. That quart was $6.99, or about 10 cents for every "ah", and so worth it. Following on from yesterday's post, the QuickTime screen recording was saved as a ".mov" file and I needed an animated GIF for the blog. That was accomplished by ezGIF, a free (I love free) online tool. I uploaded the file, trimmed a bit from the beginning and ending and downloaded the result as the needed GIF. Easy peasy. One of the handier features included with the macOS Mojave (aka 10.14) is launched using the Shift-Command (⌘)-5 keyboard shortcut, which brings up all the options you'll need to record video and capture still images, either portions or an entire screen. Capturing the animation below required the use of this feature in combination with the other screen recording option, QuickTime, and a third component to create this animated GIF, which will be covered tomorrow. 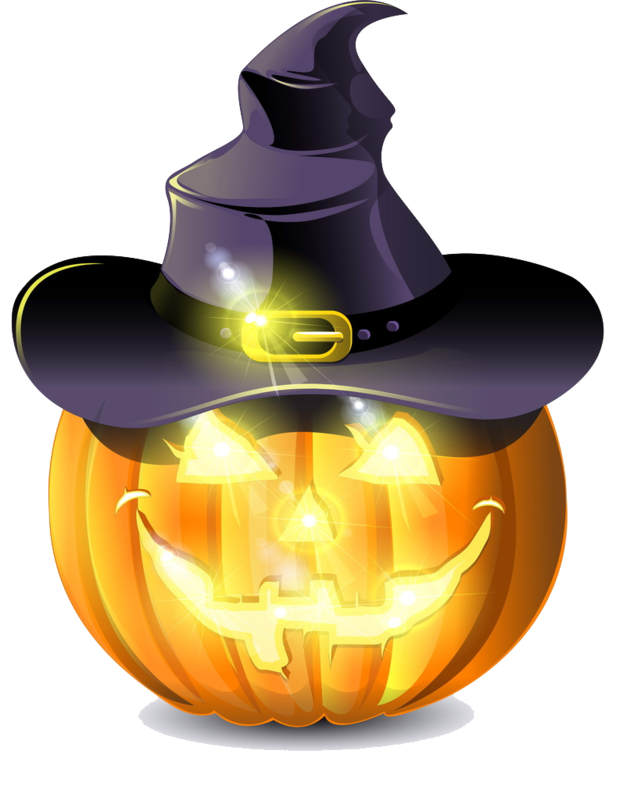 Leftover halloween candy is a yearly tradition, overbuying to make sure you never run out but never knowing how many kids will make the rounds. Left with three bags of Hershey, Snickers and other goodies, and not wanting to pack on more pounds, I did a quick internet search and discovered that they could be donated to the Dayton Blue Star Mothers, and they will include these in the care packages they send to troops all over the world. Win-win! The drop off is at 6661 Clyo Road in Centerville Ohio, in the front, left corner of the KHN Medical Building. Just one more opportunity to donate this year, Saturday, November 17th, from 10:00 am to 2:00 pm. And I now have a yearly reminder on my calendar so I never forget. Tucked in the shops at the southeast corner of Wilmington Pike and SR-725/West Franklin St. in Bellbrook, Ohio, Zemore's has a most exciting menu to go with a glass of wine or other beverages. 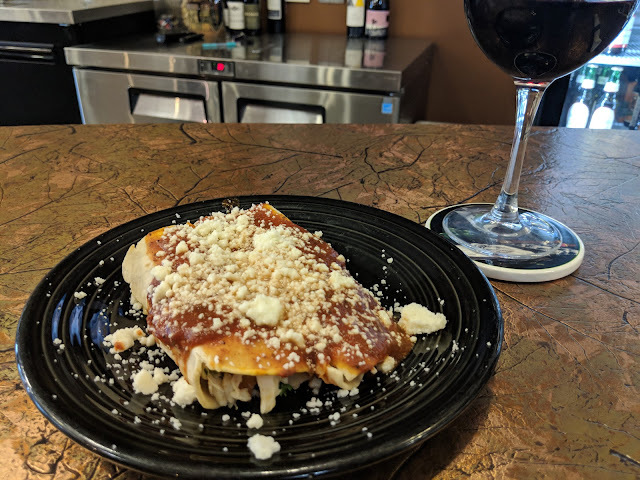 Below is the delicious small plate of crab empanadas in red sauce I had a couple weeks ago, paired with a glass of 1000 Stories Bourbon Barrel Aged Zinfandel from their 2016 vintage. When the chef/owner was trained at the Culinary Institute of America, it has got to be great. Consequences are a part of growing up, parents helping children to develop self-control by being able to envision how their decisions play out over time. One such child had the habit of leaving their shoes wherever they took them off and no amount of telling them not to proved useful. 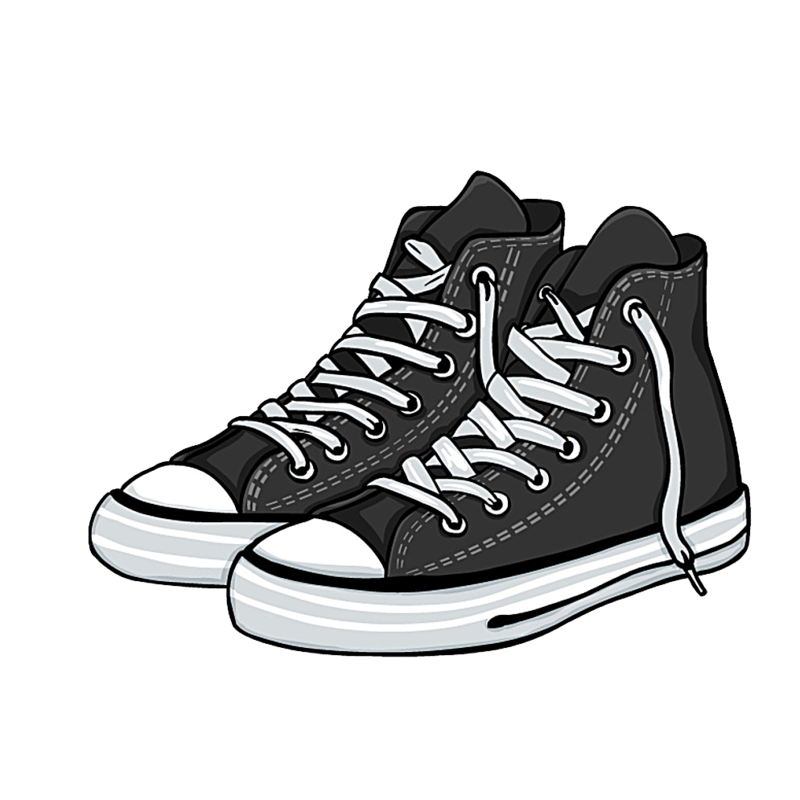 So one night, after he went to bed, I put his shoes on the back porch and it took him twenty minutes the next morning to find them. Didn't quite get him to change his behavior, so the next time the shoes were thrown in the yard. Obviously capable of learning, he found them quite quickly this time. Not quite getting it, he left them in the middle of the living room a third time, and again I pitched them into the backyard. The next morning he easily found them, but as it had rained overnight, they were quite wet. He never left them in the middle of a room again. 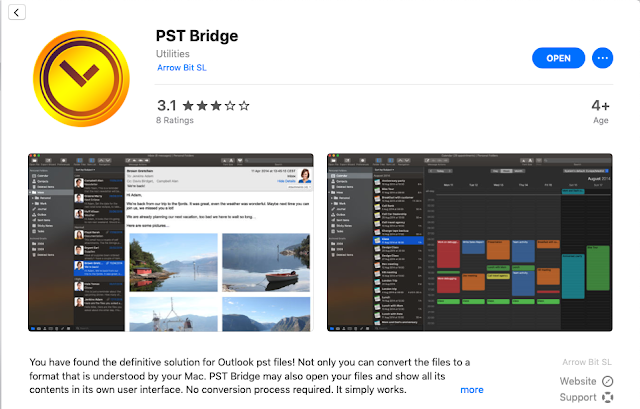 Another one of those free (I love free), high-quality utilities that serves a specific purpose, this one being to open and peruse PST (Personal Storage Table) files, in other words that file type Microsoft Outlook stores your emails in. Convert the files to a Mac format or just browse using its included interface. Available in the Mac App Store by following this iTunes link. The most recent Chrome OS update (70.0.3538.76) on my Acer Chromebook 14 has enabled Linux support, providing local installations of free (I love free) applications such as LibreOffice (Office Suite), GIMP (Graphics Editing), Audacity (Audio Editing) and Atom (Source Code Editor). 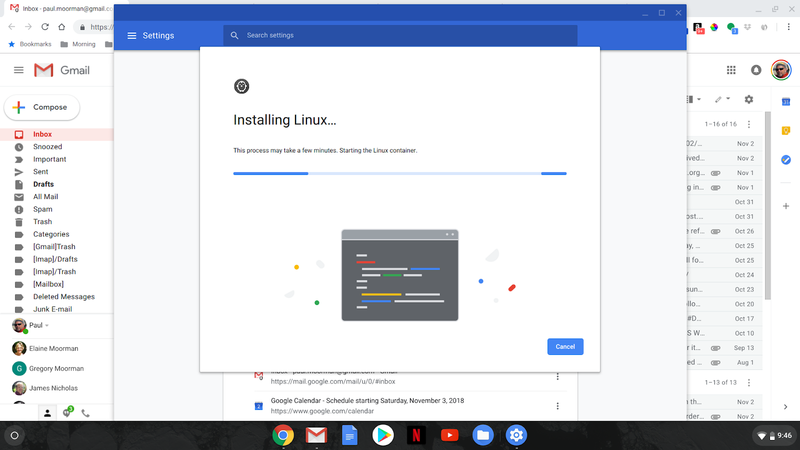 While the Chromebook is great for everyday tasks like email, web browsing, web-based apps and some local lighter-weight apps, it's nice to have some some super-powerful utilities at my traveling fingertips. 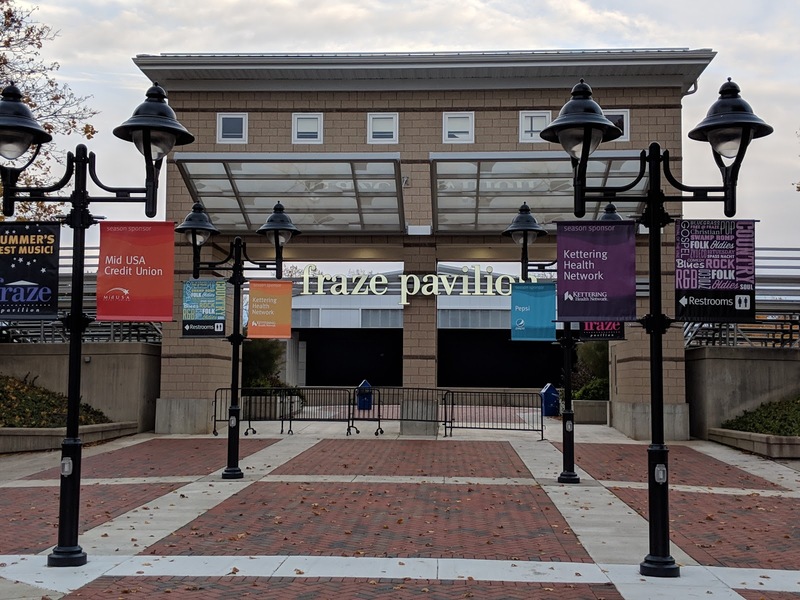 I been at the Fraze in Kettering hundreds, if not thousands, of times, mostly as a stop for water during a run, but also for many concerts and festivals. Until a few days ago, I had never noticed the restroom signs cleverly, and perhaps too cleverly, included at the bottom of two of these banners. Fortunately there's a less obtuse sign just to the left of this picture, pointing the way to the best restrooms at any venue. We harvested, with the assistance of our little neighbors, one of our two Brussels Sprouts plants. 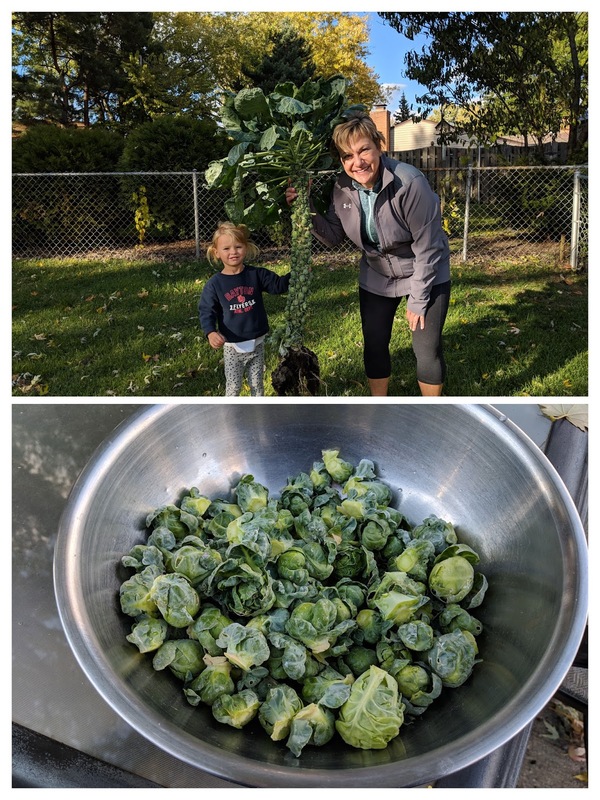 Standing over four feet tall and with a three foot stalk, it delivered about three cups of the mini-cabbage-looking vegetables. First coated with olive oil, garlic powder, cayenne pepper and sea salt, they were baked with bacon slices and diced onion for 30 minutes at 400 degrees. Out of the oven, they were topped with pine nuts before serving. Yummy!